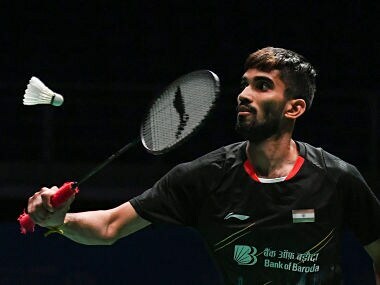 There simply is no excuse that Kidambi Srikanth can offer for Friday's 21-18, 21-19 Malaysian Open quarter-final loss to China's Chen Long. 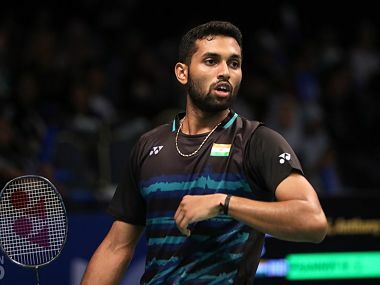 It was a result that brought the curtain down on the Indian challenge at the $700,000 prize money World Tour Super 700 badminton championship at Kuala Lumpur's Axiata Arena. The eighth-seeded Indian was coasting along effortlessly en route to the opening stanza when his game inexplicably degenerated into a spate of errors that not only allowed the two-time former world champion and 2016 Olympic gold medallist to pocket the game but also build up a potentially match-winning advantage in the second. In the nick of time, Srikanth produced a stirring comeback that almost had his nose ahead at the tape, but for a fortunate net cord that gave Chen a midcourt invitation for the final kill. The quarter-final clash was scrappy for the most part and failed to scale the heights except for the final ten minutes. The main difference between the two gladiators in the 48-minute encounter was Chen's opportunism at the net and his strength of temperament. He controlled the net brilliantly, tapping the shuttle down at every opportunity and giving Srikanth few chances of employing his dreaded leaping overhead smashes. Yet, the 26-year-old Guntur native was so much in control in the initial reaches of the match that he appeared all set to repeat his 2017 Australian Open victory over his Chinese rival. The rallies were short and sharp but punctuated more with errors from the two protagonists, rather than positive points. Srikanth was comfortably ahead at 11-7 at lemon-time and went further ahead to 13-7 and 16-11 before his game suddenly fell apart. There was no plausible reason for the evaporation of Srikanth's confidence. It was not as if Chen had changed his game pattern or moved up a gear. Instead, there were steady injections to the No 4 seed's own confidence as his rival poked and prodded at the shuttle and kept finding the net instead of the sideline. 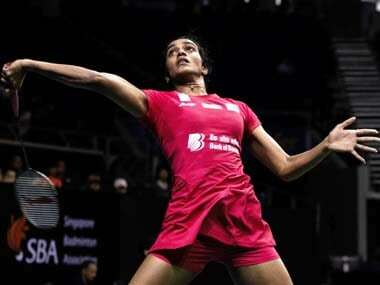 The Olympic champion won ten of the last 12 points, with eight of those points coming from Srikanth errors. There was a repeat dose of this prodigality on the Indian's part from 7-8 in the second game, where he managed just one of the next nine points, to trail 8-16. Again, it was mistakes galore from Srikanth's racket, with an occasional net ace from Chen. Just when it seemed all over, Srikanth sparked into life, moving better on the court and maintaining control of the rallies. This was the second time in the match that Chen appeared a notch slower on his feet and distinctly vulnerable, even as the Indian looked much more like the player who had won four Superseries titles in a single season, in 2017. When the underdog neutralised the lead at 17-all with some brilliant manoeuvres, a third game suddenly loomed on the horizon. But Chen had not been a two-time world champion for anything, as he dug deep and stayed with his opponent in the fast-paced rallies. And one could hardly grudge him the slice of luck when his net dribble rolled over, inducing Srikanth to produce a desperate lift that the Chinese star smashed down and forced the parry to drift out along the backhand sideline. Having sealed his sixth triumph over Srikanth in seven career meetings, Chen sealed his semi-final spot on the morrow against Indonesia's Jonatan Christie. The 2018 Asian Games champion produced his second major upset of the tournament by pipping 2017 world champion Viktor Axelsen of Denmark, by coincidentally an identical margin – 21-18, 21-19. The unseeded Christie had downed reigning world champion Kento Momota of Japan in the first round by a 20-22, 21-13, 21-11 scoreline, and appears to be finally actualising his impressive talent by producing results outside his home country. To reach the final, he will have to take in stride yet another world champion against whom he has a poor 0-6 win-loss record in international play. The other semi-final will pit 23-year-old Chinese No 2 seed, Shi Yuqi, against his fellow-countryman and living legend, Lin Dan. Shi made it to the last-four by posting a workmanlike 21-17, 21-16 win against Japan's Kenta Nishimoto in 41 minutes. Super Dan was far more authoritative in taking down another Japanese, Kanta Tsuneyama, by a 16-21, 21-17, 21-10 margin in an entertaining 70-minute encounter. What impressed most about the Chinese veteran was the manner in which he managed to actually outlast the 22-year-old Japanese player in the gruelling encounter. After a long time, he was able to demonstrate that he still has it in him to put in the hard yards to remain in contention for what could be a third Olympic gold medal at Tokyo next year. "Because of my age, it is difficult for me to take part in so many tournaments to gain points," he said after his second-round clash on Thursday against Thailand's Suppanyu Avihingsanon. "But this is the rule, so I will adjust myself. I need to have an average performance in all the tournaments I play in, in order to accumulate points. "I still want to challenge myself, since I don't have severe injuries. Not many male singles players can play until they are 35 years old. Perhaps I can be a role model for the younger players, inspiring them to keep playing till they are 35 or 36 years old. Furthermore, Lee Chong Wei has not retired yet; I hope we can play together again in the future. I am still working hard to qualify for the Tokyo Olympics. My goal is to take part in the Olympics for the fifth time." Along the path to qualification for the 2020 Games, Lin Dan could take a giant step if he wins the Malaysian Open, a tournament his arch-rival Lee has won 12 times. But he has to first account for Shi Yuqi, against whom he has a losing 1-5 record, including losses on the last four occasions, and with the solitary win having come in the Swiss Open in March 2017. Still, if anyone can do it, the man who is considered to be arguably the greatest badminton player of all time, can!